There is really nothing I love more than being at home with Adam and Summit (my pup). We take early morning walks, go get coffee, and take care of things around the house. These weekends call for clothes that are comfortable. One of my favorite brands, Lou & Grey, has the most comfortable clothing. 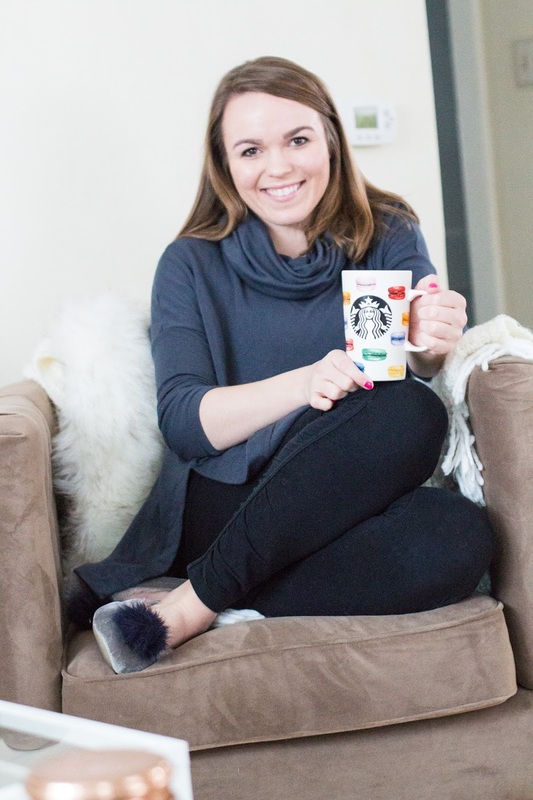 From soft tunics, stretchy leggings, and cozy knits, there is not one piece that isn't easy to wear and comfy. I bought this tunic a couple of weeks ago and I love it! 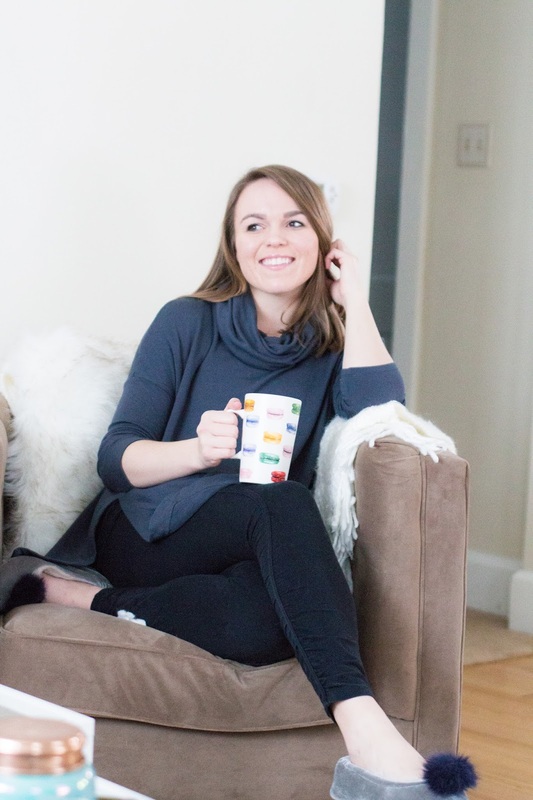 It fits large but that makes it super breathable and easy to wear around the house. 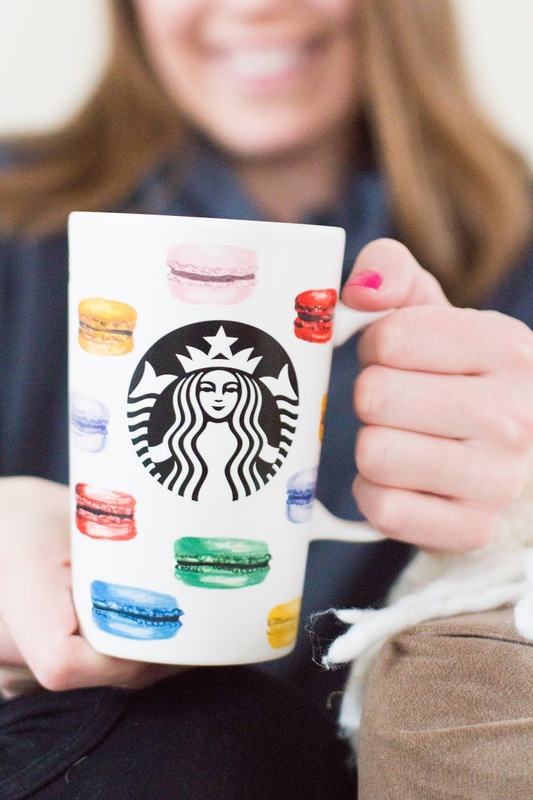 How cute is this macaron mug? My sweet sister gifted it to me for Christmas. Just because I can't go to Paris and eat macarons under the eiffel tower, doesn't mean they don't look cute on my mug:). Have you ever worn Lou & Grey? It may be a bit pricey but the Loft occasionally runs sales...check out their President's Day sales to see all the amazing pieces!